Black exterior / grey cloth interior. 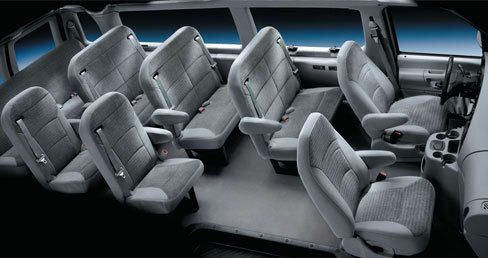 Seating for 8 with luggage. Seating for 14 without luggage.